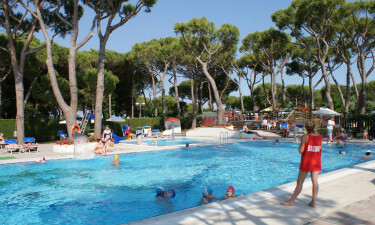 This luxury camping site is set in the lush pine forest of Jesolo in Italy, with a gorgeous sandy beach just a short stroll away. Nature lovers who book a mobile home here will be able to spend their days taking part in a wide range of exciting outdoor pursuits, while an excellent range of amenities can also be found right on the site itself. What makes Waikiki Campsite so special? Not only are your four legged friends welcome to stay at Waikiki Campsite, they are actively encouraged to join in the fun. 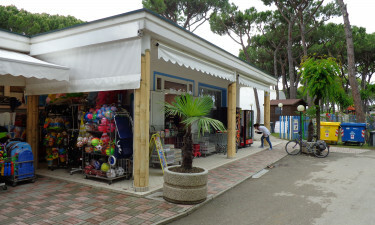 A special Pet Village has been created in this leading LUX-camp and provides plenty of things for dogs such as special trails leading down to the beach, a large lawn to run around on and dog showers to keep that precious pooch fresh and clean. A wide range of activities is available here to make sure that guests at Waikiki Campsite experience a camping holiday they will never forget. 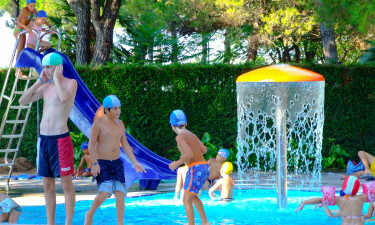 A range of new facilities have recently been added to the already impressive list and include a rubber bottomed outdoor pool and waterslides so that guests can really get wet and wild, while the new hydrobikes are designed to be used in the special indoor pool. Other sports and recreational activities that guests can take part in here include playing volleyball on the beach, football and table tennis. Lovers of Italian cuisine will find a large selection of popular dishes to sample at the onsite restaurant as well as regional specialities. Of course, adults will also want to sit and sip a glass or two of locally produced wine with their meal in the evening. The area boasts a well stocked bar that includes a good selection of wines, beers and spirits to put guests in the party mood. Charcoal grilling is permitted, which means that guests can create delicious meals for the whole family to enjoy - either in their comfort of their mobile home or outside on the grass. The onsite grocery shop is stocked with fresh local produce such as Italian sausages, cheese and packaged foods that guests can use to create simple and enjoyable dishes.